June 1910. Philadelphia, Pa. “Michael McNelis, 8 years old, a newsboy. This boy has just recovered from his second attack of pneumonia. 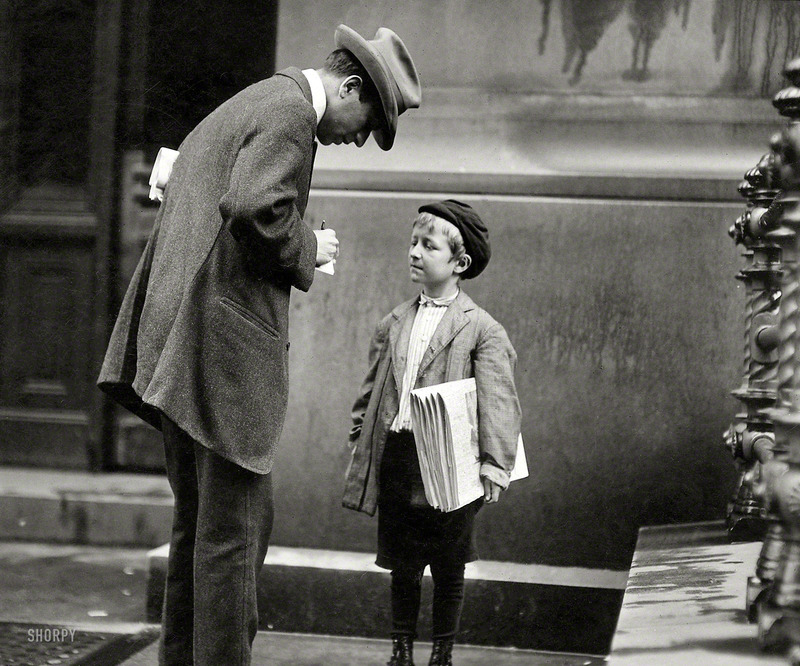 Was found selling papers in a big rainstorm today.” Photo by Lewis Wickes Hine.